This is an updated version of a post originally published in November 2015. 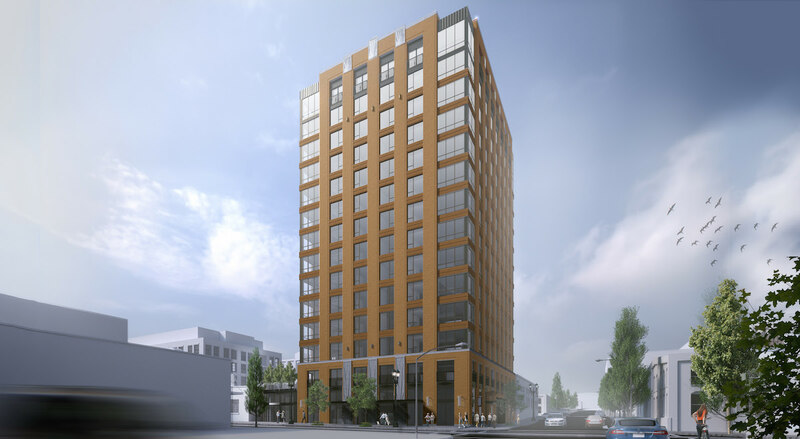 Construction is underway on The Dianne, a 14-story tower in the Pearl District. 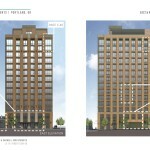 The 153’ tall building will include 102 residential apartment units and 1,500 sq ft of retail space. Parking for 52 vehicles will be provided, most of it in a mechanized parking system. 155 bike parking spaces will be located in the basement. 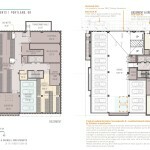 The architects for the project are Ankrom Moisan. 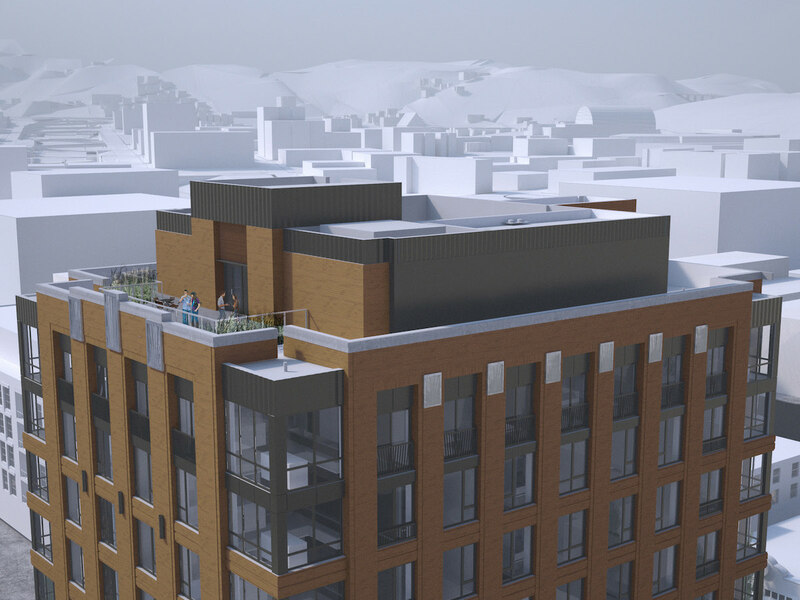 The developer is John Carroll of Carroll Investments, whose previous projects in the neighborhood include The Gregory Condos, The Edge Lofts, The Chown Pella Lofts, The Elizabeth Lofts and the McKenzie Lofts. The project will be located on a quarter block site at NW 11th & Hoyt, which was mostly recently occupied by Jim Stevens Auto Body. 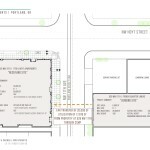 The project is utilizing a Central City Masterplan to transfer some of the allowed Floor Area Ratio (FAR) from the Speedometer building at 530 NW Hoyt, which is occupied by the French Quarter Linens store. 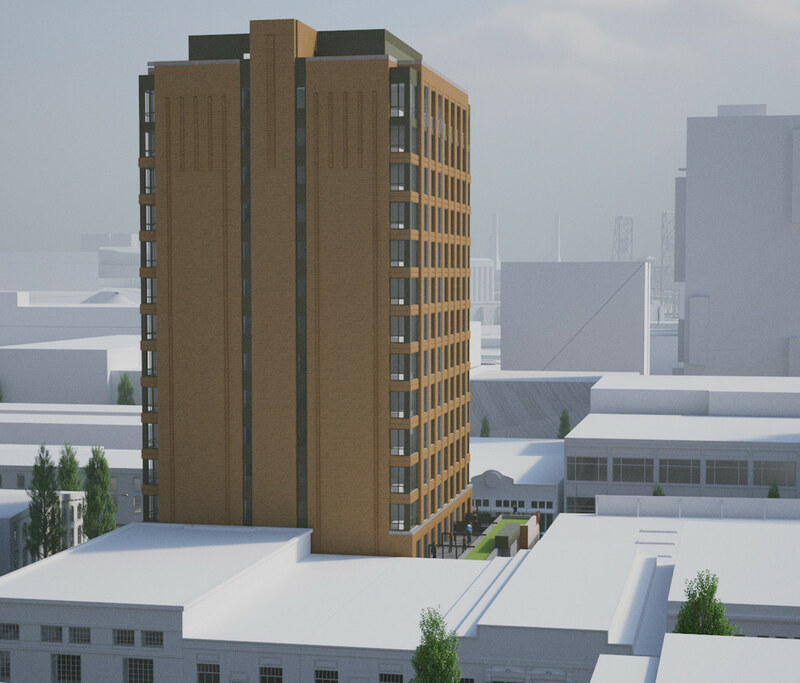 The transfer will allow the Dianne to go taller, while greatly reducing the chances that the Speedometer building will be redeveloped in the future. 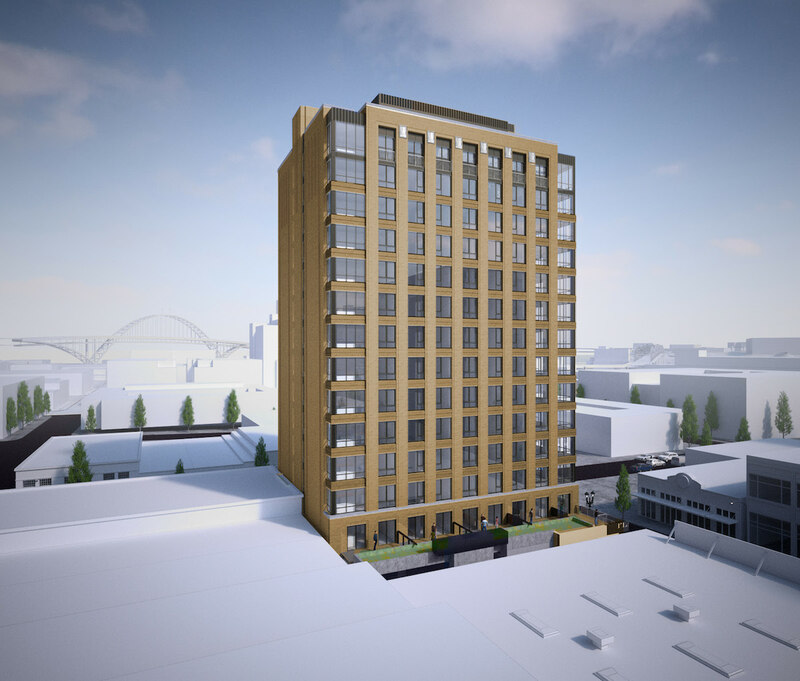 The FAR transfer was strongly supported by the then Chair of the Pearl District Neighborhood Association, who spoke at the project’s first Design Review hearing in September. 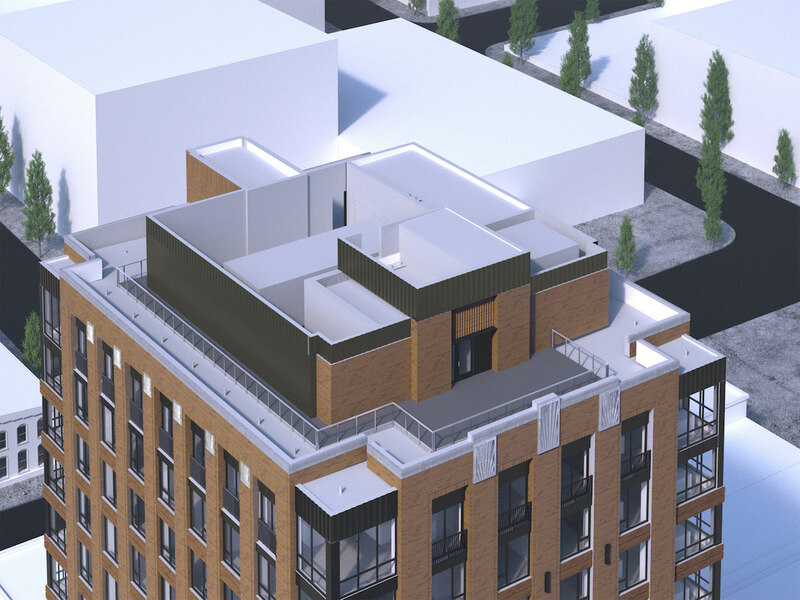 The proposed building is arranged with a two story base that the rest of the tower sits on. 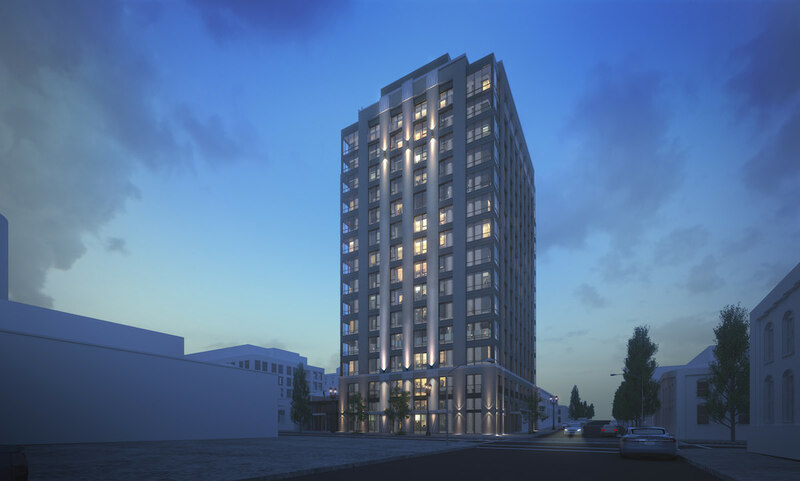 At the south side the tower is pulled away from the property line, to allow for a facade with no building code imposed limits on the number of windows. 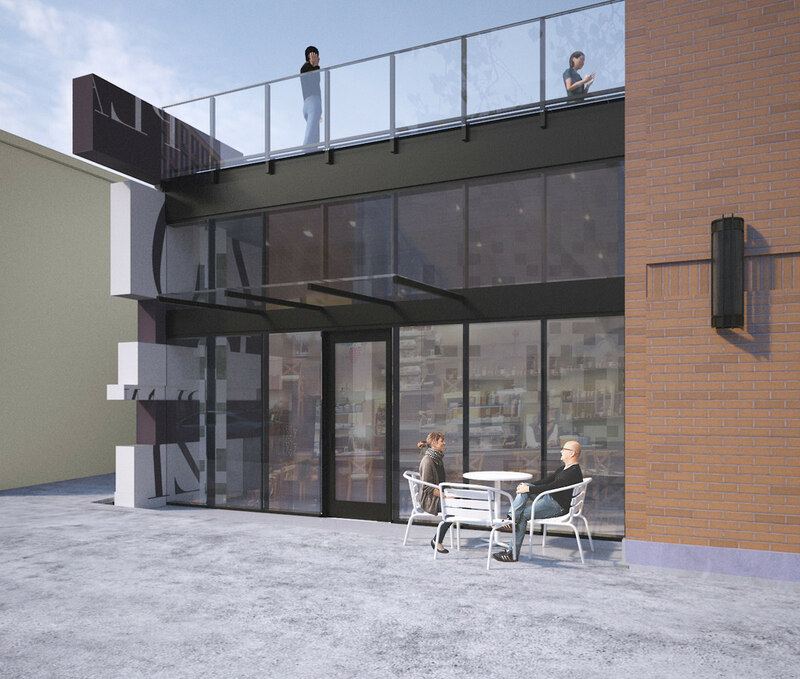 A one story retail sidecar fills the gap at ground level between the proposed tower, and the adjacent building occupied by Blick Art Materials. 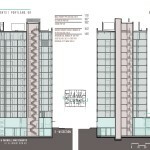 At the west facade the number of windows allowed is restricted due to the proximity of the tower to the property line. 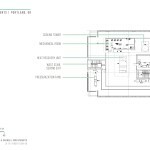 The primary materials for the building will include brick, pre-cast concrete and metal paneling. 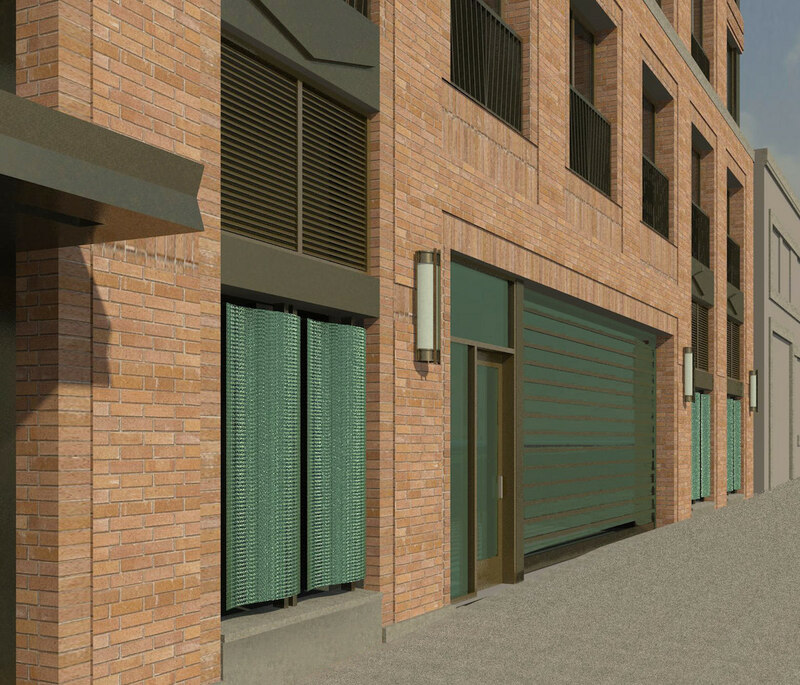 Aluminum storefront windows will be used at the commercial spaces, and vinyl windows at the residential units. 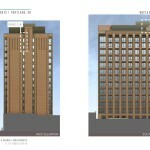 Concerns raised at the first hearing about the building’s west facade were addressed by adding relief to the brickwork, and replacing metal wall panel with brick veneer. 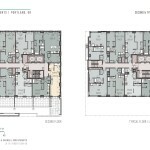 Transfers of Floor Area Ratio are a rarely used tool in Portland. The only projects to have received approval for FAR transfers in the decade to the approval of the Dianne are University Pointe, Park Avenue West and the Ladd Tower, all of which provided some form of public benefit beyond the building itself. In 2006 the City Council denied the approval of the Allegro Tower at appeal, finding that design merit alone was not a public benefit. 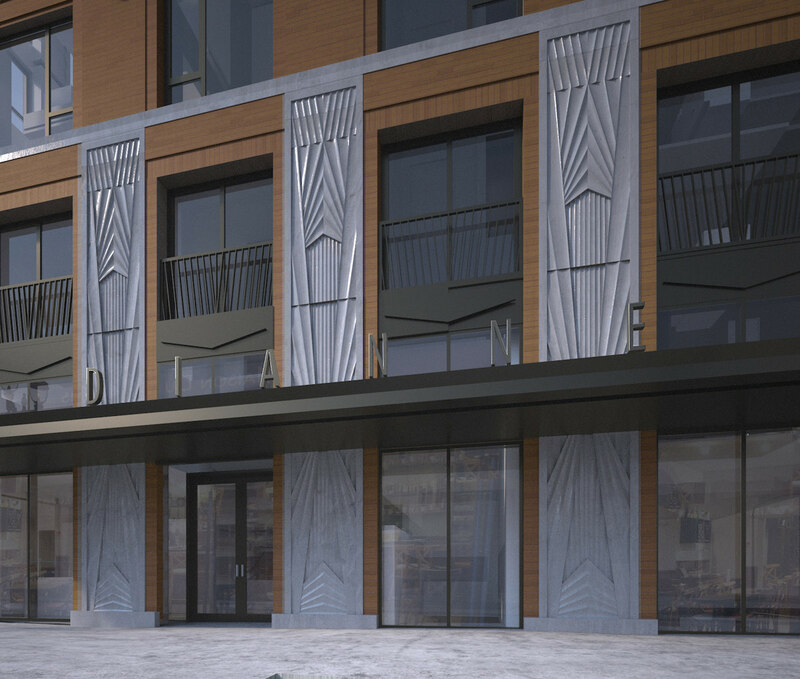 Following the precedent set by previous approvals, the Dianne will provide a public benefit in the form of a piece of art facing NW 11th Ave, to be approved by the Regional Arts & Culture Council. Though not yet designed, the architects showed illustrative drawings of a “dissolving wall” at the south elevation of the retail sidecar. A condition of approval for the building will require that the art have a minimum budget of 1% of the project value (approximately $160,000). 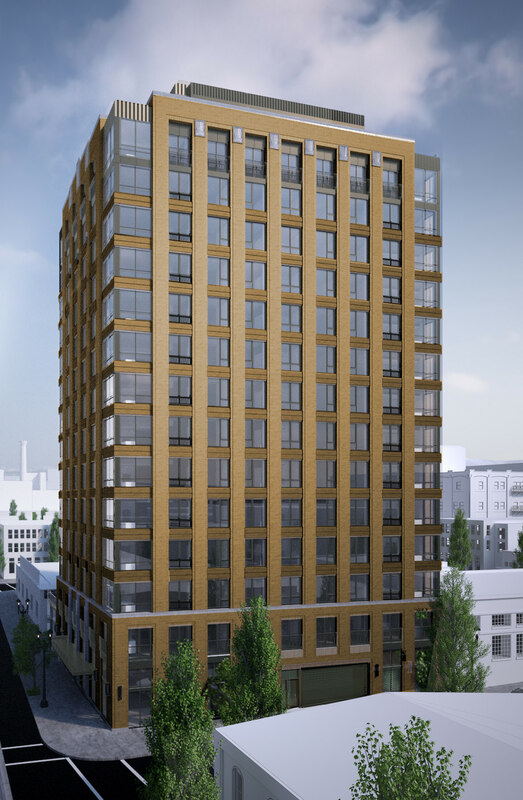 Since the approval of The Dianne the Broadway Tower has also utilized the FAR transfers provisions of the Zoning Code, and was required to show similar public benefits. The project was approved at its second Design Review hearing, on October 22nd 2015, by a 3-0 vote. Commission Chair David Wark abstained from voting, after having expressed concerns about the ground level activation along NW Hoyt St. In the Final Findings And Decision By The Design Commission [PDF] it was found that the Dianne will make a “significant contribution to the diverse architecture and active pedestrian environment that characterizes the River sub district”. A demolition permit for the existing building on the site was issued in December 2015, with work beginning on site shortly afterwards. 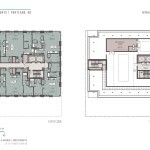 The main building permit was issued in early May 2016. This entry was posted in Ankrom Moisan, Carroll Investments, Pearl, The Dianne. Bookmark the permalink. 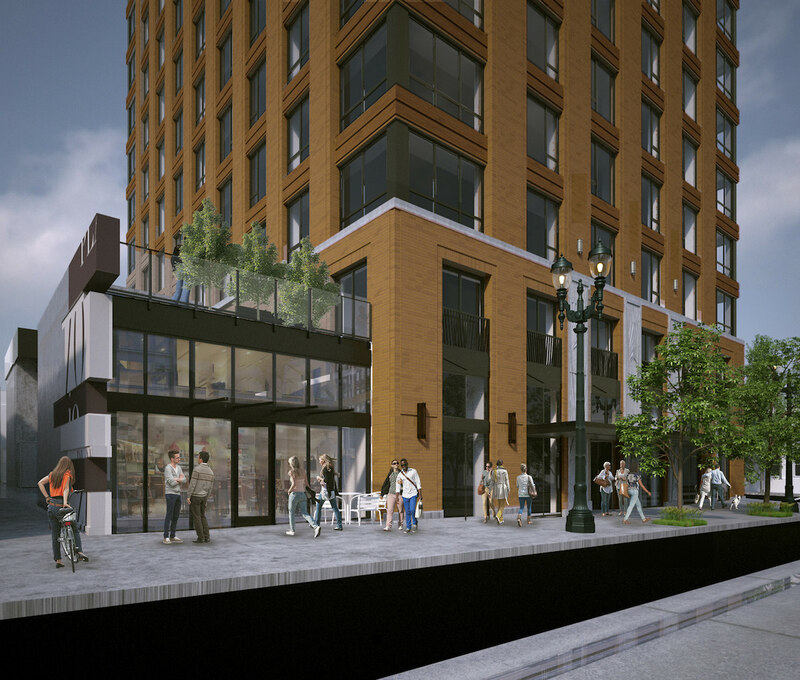 I try to keep opinions out Next Portland posts, but the day the demolition of the Low Brow lounge is proposed is the day I get the pitchforks out. Thought The Diane was initially going to be condo. Though the high volume of apartments coming online over the next few years will hopefully do their part to help slow down the rising rents in the city, we also desperately need more condos for homebuyers. The inventory in the city is ridiculously low. Alex couldn’t agree more. Unfortunately institutional money isn’t funding condos right now. They are looking at the millennial/transient tech worker demographic (many who don’t have down payments or don’t want to be tied down in one place). Rents are at all time highs and you don’t have to spend as much on quality finishes with apartments so its a better return on investment. Worse still local developers are building things they can SELL not keep. This is a negative change here in Portland. We’re becoming more like Seattle and other larger markets in this regard. We are also more likely to have larger boom/busts given what appears to be overbuilding in one sector of the market. The Diane is a perfect demonstration of this–John Carroll, the developer, has built many notable condos in the Pearl but this time he’s building apartments. Right now developers are able to build and sell quickly for a handsome profit. But sooner than later this will not be the case. The smart ones will build apartments that can be more easily converted to condos when the market flips.